College is just like her old life . . . bleak. Surviving it won’t be easy, especially when the girlfriend of the guy she’s loved her entire life would rather see her dead. So much for that clean slate. Instead she’s constantly looking over her shoulder, watching, waiting and worrying. 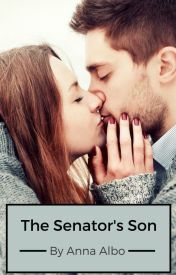 Lucky for Emma she met The Senator’s Son. Zach Walker is the typical rich kid . . . or is he? This entry was posted in Senetor`s son. Bookmark the permalink.